I was seventeen when I first saw her, really saw her. I was standing in the art room at Sacred Heart Prep, the light was streaming in the window and I had that gentle anticipation one sometimes feels, even as a teen, that something epic was about to happen. My art teacher Janet Whitchurch is the one who set us up, she having noticed how I channeled my snark into sculpting weird ceramic creatures that sat on grassy knolls embedded with tripping hands, their distorted faces reminiscent of the pictures of tortured saints endemic in Catholic schools. Like Moses with the tablets, Janet intervened with an image, a glorious image of such wry angst and incredible perception and I did what nature dictated: I fell madly in love…with Roz Chast. The love affair thus established set deep roots in my imagination and I bought every one of her books. Over the years, her humor has flowered the way such things only do in the hands of someone older and wilder. 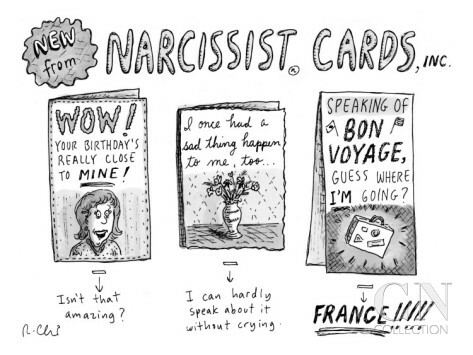 If you’re not familiar with Roz Chast, let me give you a quick crash course. The only child of an assistant principal and a high school teacher who subscribed to The New Yorker, she grew up in Flatbush and became a cartoonist, and in 1978, The New Yorker accepted the first of her cartoons. Since then, she has gone on to publish more than 800 others and also publishes in Scientific American and the Harvard Business Review. Yesterday, the New York Times published this article about the artist, who has written her memoir. You can read it here if you like: http://www.nytimes.com/2014/05/06/books/a-memoir-by-roz-chast-in-words-and-cartoons.html. And last of all, if you want to see her creative space, she generously hosts you in this office tour.